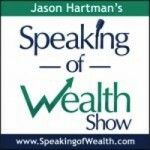 Jason Hartman “sat” down with speaking coach, Joe Yazbeck, on a recent episode of The Speaking of Wealth Show. The topic was No Fear Speaking. Though the discussion covered plenty of philosophical and practical ground, we’re going to hone in here on Mr. Yazbeck’s response to Jason’s question regarding the big mistakes a professional speaker can make. JOE YAZBECK: Well, I think that the first step to consider is that you’ve got to know your audience, much like you have to know your audience, Jason, correct? And anytime you’re communicating on a channel going out, whether it’s live in front of a large audience or a small boardroom, whether it’s a trial for an attorney, they better know their audience. And so what does the audience want to know? What are they interested in? What are their needs? What are their wants? And that’s the very first thing that, if violated, can result in catastrophe for a speaker. JOE YAZBECK: I’ve spent a lot of years helping developing talent and working with performing artists and you always ask them what’s the product of your performance? And they’ll say, well, I want to make sure I really give it all I got. I want to make sure the band is tight, the sound is great, and they never mention the audience. One of the violations is that you don’t know the product. And it is what that performance or what that presentation actually results in. JOE YAZBECK: You’ve got to have in mind your call to action. Where do you want to move your audience toward at the end of this presentation so it results in something and it shows up much like, for example, attendees making appointments with you at the end of it or attendees going to the website and purchasing materials or purchasing at the back of the room if you are a speaker as a career. There you have it. Even if you’re a rank newbie speaker at present, follow these three suggestions right out of the gate and you’ll be a leg up on those who don’t have the benefit of Yazbeck’s substantial experience.